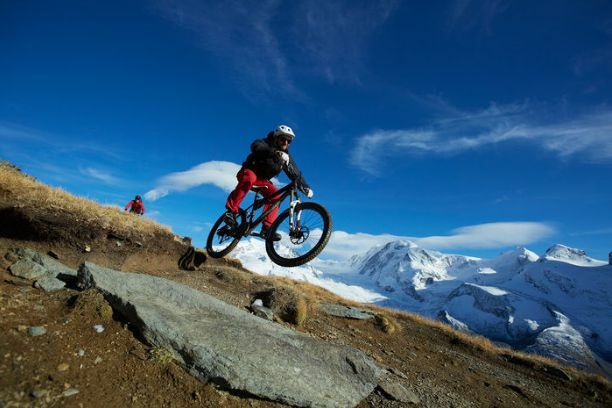 Biking through the alpine forest with the magnificent views of the alpine mountain such as the Matterhorn is absolutely an amazing experience in Zermatt. You can speed down the long downhill or go on a single trail run through the rocky mountains during the warm summer season. But there are rules to follow when having fun. By following these rules, you will have a wonderful and exciting experience in Zermatt. For bikers, please remember to wear proper gloves and helmets. If you do not have such equipment, you can either purchase or rent these items at the sports shop in Zermatt. Since certain bike trails go through mountains and rocky trails, always remember to check your equipment regularly. You can only have an excellent bike ride with proper conditions. Since some routes reach up to 3000 meters above sea level don’t overestimate your ability and keep yourself fit. Always obey traffic regulations and use only the routes that are marked as bike path. Please show considerations for plants and animals since some animals get scared very easily and by getting terrified, they could die from stress. Also some alpine floras are very rare that only grow in certain environments, therefore please use existing roads and paths and never ride cross-country through woods and meadows. Please show consideration for hikers and pedestrians since some trails are for both hikers and bikers. Never ride recklessly downhill since it could lead to injury for both you and pedestrians. If you see hikers coming towards you, please try to slow down. Always close gates and gates to meadows behind you and follow instructions from the police, military and forest workers. 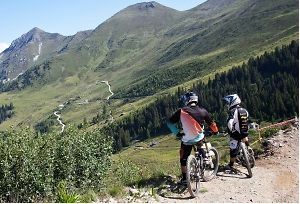 For downhill riders, there are also certain rules you need to follow. First please take care of nature and dispose of trash only in the garbage bins provided. If you can not find a trash can, please take it with you and do not throw it away in nature. Since bikes are faster than hikers and pedestrians, please grant them right of way for both of your safeties. No matter the reason, please follow the routes marked for this sport and please do not ride over meadows and fields or use paths used by wild animals. The wild paths may look like a thrilling detour, but can be dangerous for both the wild animals and you. Therefore please avoid disturbing wild animals even if you spot one. You should expect some traffic at crossroads with the Sunnegga paradise to Tuftern to Zermatt and during that time, please follow the speed limit accordingly.